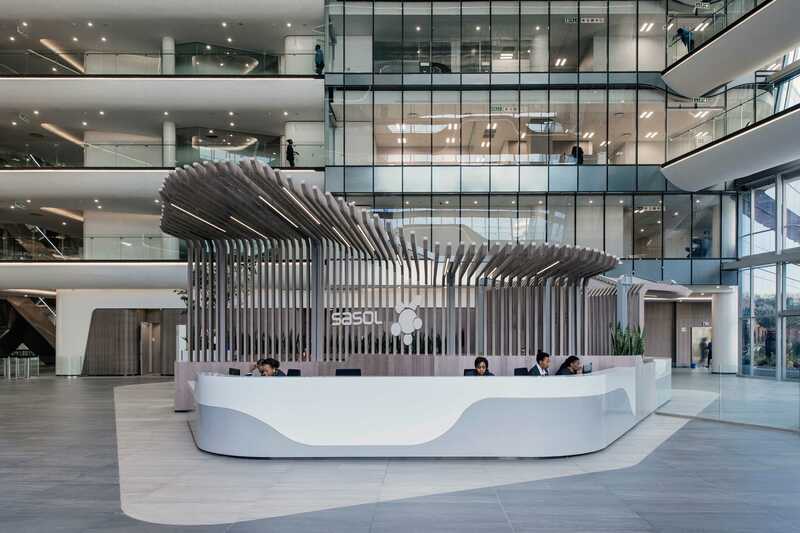 Developed by Alchemy Properties and Sasol Pension Fund, Sasol Place is the new global Head Office for the multi-national petrochemical company, Sasol. 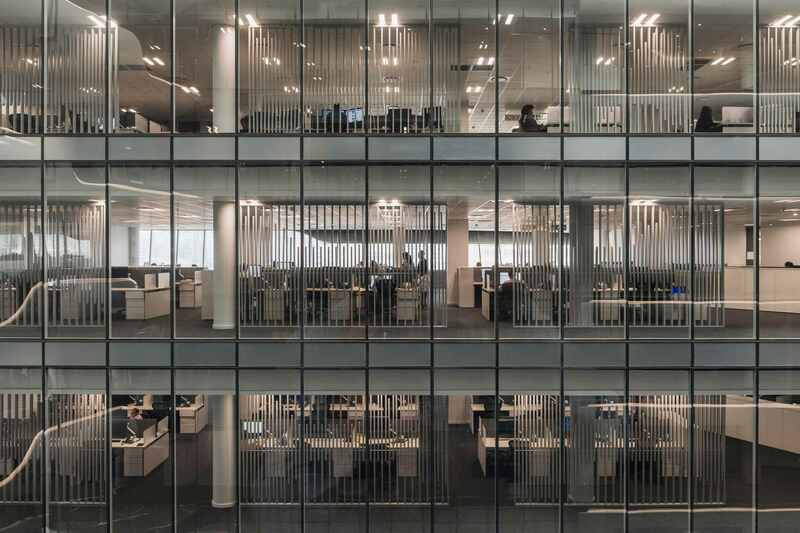 With a total GLA of 67,000m2 accommodating 3,500 employees over 11 floors, this was an extremely complex and detailed fit-out within a unique and iconic building. 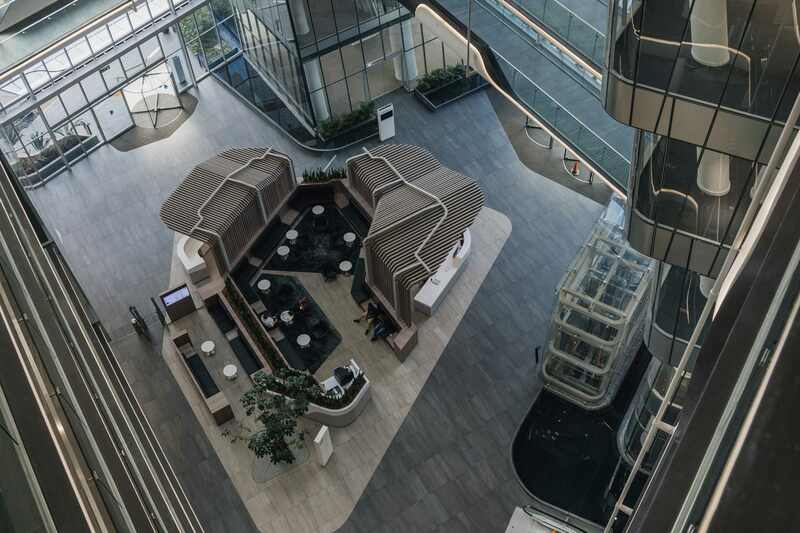 In-depth research of global best practice and regular engagement with Sasol stakeholders ensured a well-considered and efficient workplace, offering a ‘palette of places’ to both residents and guests. 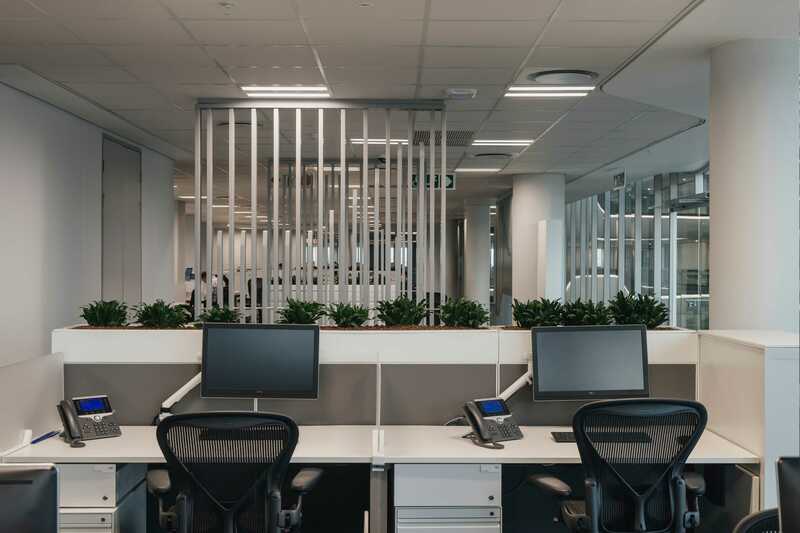 Working closely with Paragon Architects, Paragon Interface achieved a timeless, elegant design aesthetic with seamless transitions between base-build and fit-out a world class, high performance workplace which signifies the "One Sasol" culture. 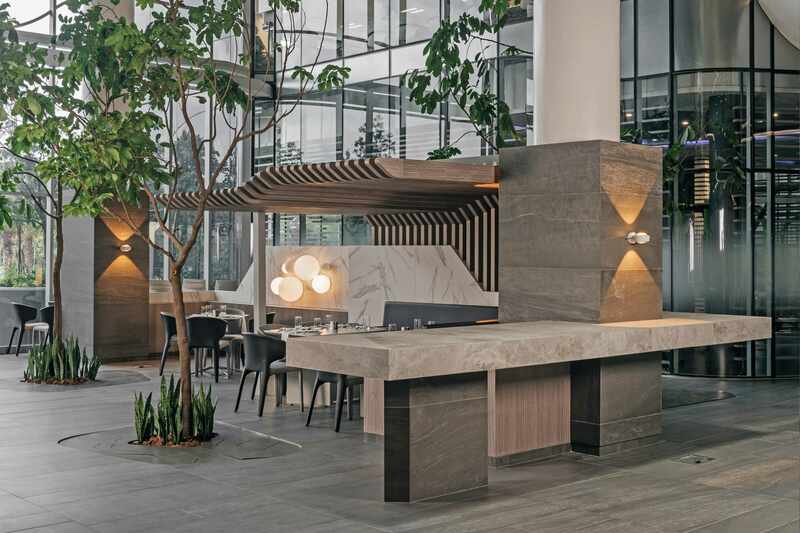 The strategic design of a workplace that consolidated the services and facilities of 18 separate sites into one building was successfully achieved with the latest workplace design strategies as well as cutting edge technology that ensured both longevity and growth within this dynamic organisation. The unique space planning solution was designed to incorporate Green Design principles, and to promote collaboration and communication across Business Units. 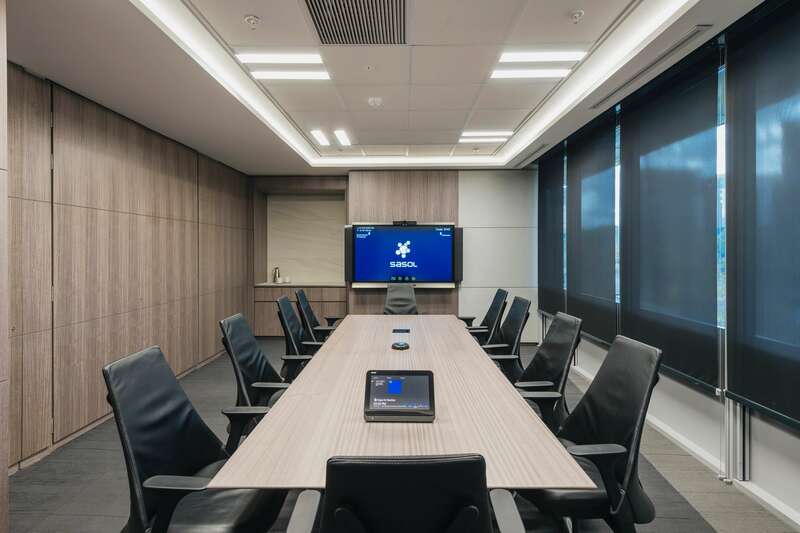 This solution included the development of customised work settings and detailed furniture specifications. 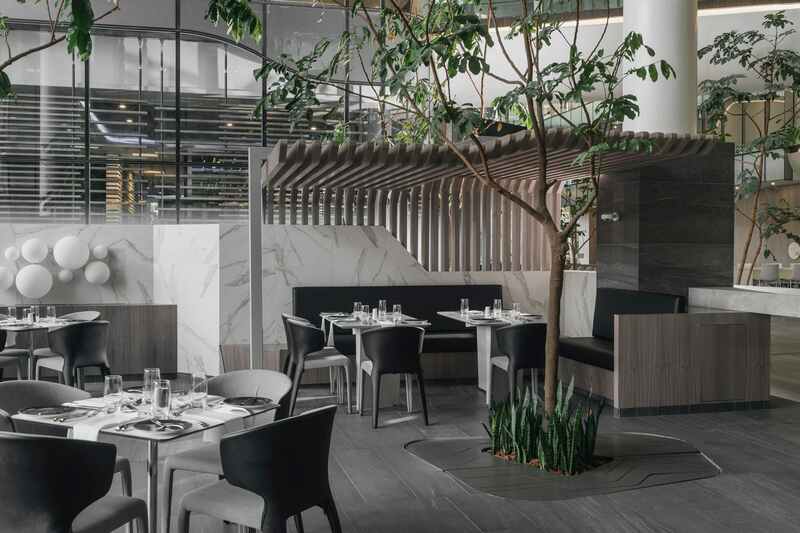 The aesthetic for the interiors juxtaposed the instantly recognisable Sasol brand with a sophisticated monotone palette of blues, greys and whites placed alongside high-quality finishes that portray a sense of timeless elegance throughout the interior. 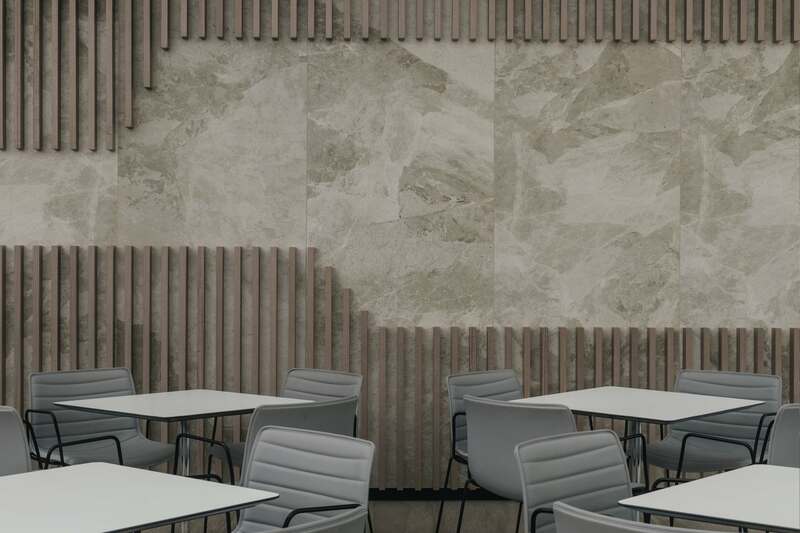 The distinctive staggered line element of the external facades has been brought though into the interior detailing, ensuring a seamless transition between the interior and exterior architecture.